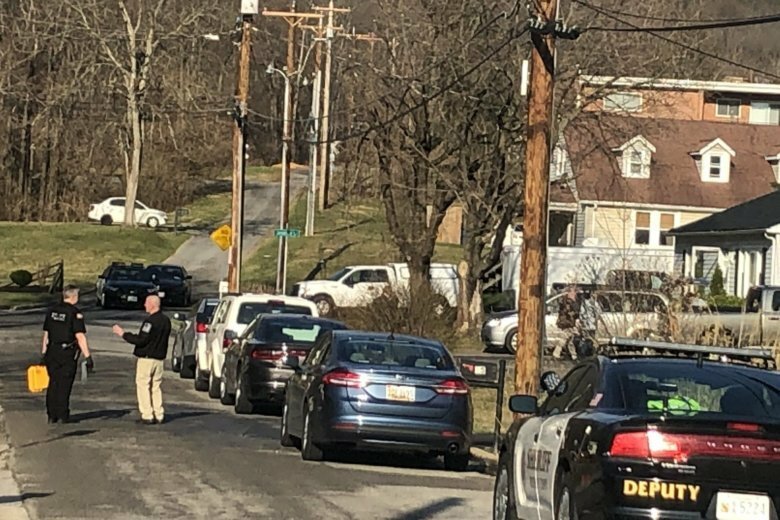 A man is dead after being shot by a sheriff's deputy in Thurmont, Maryland, on Monday morning, the Frederick County Sheriff's Office said. An armed man was shot and killed early Monday by a sheriff’s deputy in Thurmont, Maryland, the Frederick County Sheriff’s Office said. The man has been identified as 26-year-old Abraham Arellano, of Thurmont. Around 1:20 a.m., a man called 911 about seeing another man with a gun breaking into a residence through a back window on Sandy Spring Lane near N. Church Street in Thurmont. Law enforcement officials with the Thurmont Police Department, Frederick County Sheriff’s Office and Maryland State Police responded to the area. Officials then received information about the reported man being suicidal and armed, the sheriff’s office said. Officials also learned that hours before, a Thurmont police officer had helped a woman at the residence with filing a protective order against a man. Because of that information, officials believed there was a woman and children inside the residence. The sheriff’s office said when law enforcement officials arrived, they saw a man who matched the description from the call coming from the backyard. He was given commands, and he then told officials he had a gun. As he was walking outside, officers saw him holding a handgun, the sheriff’s office said. He was told to put the gun down, but he ignored the commands and continued to walk toward the home. A Frederick County sheriff’s deputy opened fire with his patrol rifle and hit the man once. Though Arellano was given first aid on the scene, the sheriff’s office said he died there. Officers found that no one was inside the home at the time. The sheriff’s office said investigators have found that Arellano was actually the caller who made the report. He had just moved from the residence because of ongoing domestic issues. The current resident had applied for a protective order against Arellano, the sheriff’s office said. The sheriff’s deputy who shot Arellano was placed on administrative leave. No law enforcement officers were injured. An investigation continues.